Description: "Continues the storyline of the 1st Battle Hardened. 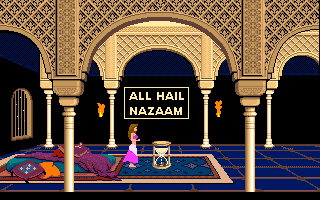 There is a new chief antagonist, Nazaam, with Jaffar being pushed back to be a secondary villain." new comments and replays. comments: I PM'ed Norbert to update the package for this mod. 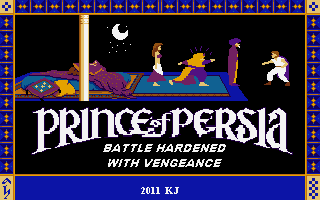 The older package used prince.exe v1.0, which lacked palette variety and had garbled graphics with the Level 3 skeleton. 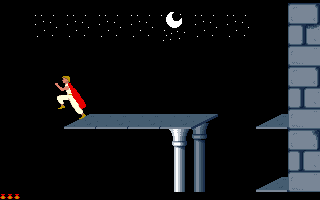 The original package used v1.3 exe. The only con is that savegames cannot be used and has been disabled or else the game would crash if the savegame attempted to be loaded. This updated package uses v1.3 exe, pls Install this mod again in the Total Pack 3. 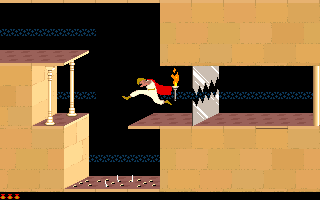 Passed everything with 1 on 12 level everything works, but the author again in the style leaves 1 life to the prince, and the rest is difficult both technology of possession of a sword and jumps. Why to security guards it is a lot of lives? Especially at the last level. 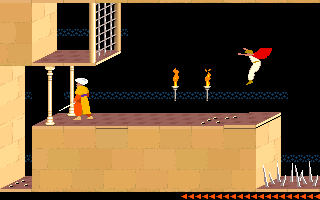 After Jafar also Nazaam with 50 lives?? ?